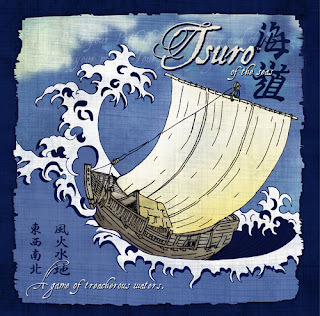 From Calliope Games, makers of Tsuro, the game of paths, comes Tsuro of the Seas. Tsuro of the Seas adds a new twist - daikaijus (sea monsters). Players are now on the open seas in ships and must avoid the randomly moving daikaijus while also trying to direct their opponent's ships off the board and become the last ship captain sailing. 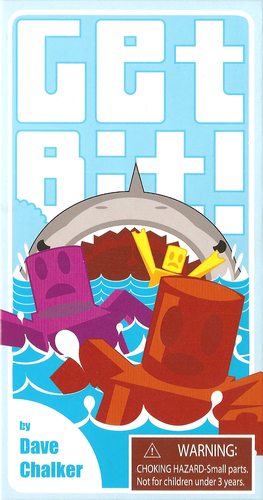 Get Bit! pits you and up to five players in a life or limb race for the beach. Play your cards and swim as fast as you can, but don't get tangled up or you could end up at the back of the pack and victim to the hungry shark hot on your trail. Get Bit! is dismembering fun for the whole family. Get Bit! was a featured game on Table Top hosted by Wil Wheaton earlier this summer. Click here on Get Bit! to watch that episode along with Zombie Dice and Tsuro.